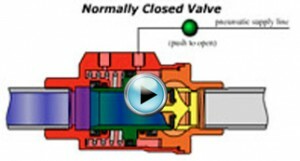 Looking for a compact automated valve as an alternative to a solenoid valve? 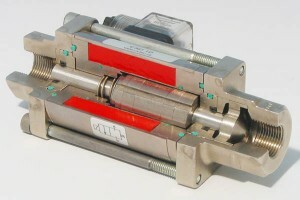 Solenoid valves, electromechanical devices typically used to regulate the flow of various substances, are prone to frequent problems. Most solenoids have a flow path that changes direction and reduces in size leading to high pressure drops and in some cases clogging. 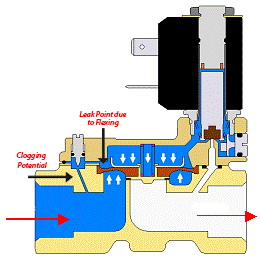 In addition, if the solenoid valve uses a flexible diaphragm for sealing, leaks can occur due to constant flexing. Our VAX and VA Series compact automated valves eliminate these problems. The VAX Series is available in both electrically actuated (solenoid spool) or pneumatically actuated with an external solenoid. The VAX has a flow optimized design for increasing the Cv and lowering the pressure drop. The VA Series is a pneumatically actuated compact on/off valve with an extremely high Cv value and a flow optimizer to reduce turbulence. 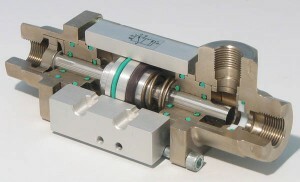 It too is available in spring to open or spring to close models. The VA and VAX series valves are available with limit switches which provides a position feedback signal to your control systems.